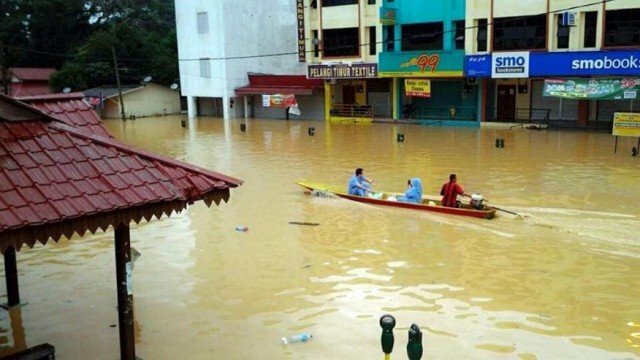 Malaysia has been hit by the worst floods in decades along its east coast. At least five people have been killed and more than 100,000 forced to leave their homes. The eastern coastal states are often flooded during the wet monsoon season, but this time officials say heavier rain and stronger winds have made things worse. Malaysia’s PM Najib Razak has returned early from his holiday in the US to deal with the disaster. Najib Razak is due to visit the worst-hit areas of northern Kelantan state. In some areas, entire towns are submerged under water. Rescue workers are struggling to bring in enough food and supplies for families sleeping in relief centers. Najib Razak cut short his holiday after the media published pictures of him golfing with President Barack Obama in Hawaii.